I’ve been musing over a couple of great articles I’ve read recently by Ken Burnett and Stephen George about thanking people – and why it’s really very important. Got to say I agree. Shortly after graduating I served 9 long months in the customer service team of a large travel agency. I think its fair to say they didn’t put resource into their recruitment or training, which lead to a pretty rubbish customer experience. Lack of staff knowledge combined with the customer certainly not always being right meant that by the time the customer got through to me they were usually irate. Whilst being shouted at by frustrated people because of their crap holiday was at best unpleasant, the customer service team did get good training to deal with customers and try to turn a rubbish holiday into a bearable experience. I believe that everyone should do a customer service or customer facing job at some point in their life. It was an invaluable learning experience. Thanking people and providing exceptional (better than good – who wants to be just good?) customer service is vitally important; I don’t just mean thanking donors but it’s also about how you build your relationships in the first place. Let me tell you about my local charity shop. The customer service in this shop is, in my opinion appalling. A few weeks ago I heard a heated discussion between a customer and the shop staff. The customer (lets call him Dave) wanted to buy something from the window display, which he was refused because the window display is changed on Saturdays. It’s not possible to buy from the window display apart from during the Saturday redesign because it messes up the display. Dave tried to reserve the items and PAY FOR THEM and come back on Saturday when the display was changed. The staff said no. He had to come back on Saturday at the unspecified time of changeover and if he was lucky, his items would still be there. How ludicrous is that? On Saturday I took some bags of clothes the shop. I take it to this shop, not because I have a particular affinity with the cause but because its nearest and therefore easiest. It’s a local Hospice shop and I trust that the sales from my ‘donation’ will be used well to help others in some small way. That’s good enough for me. I walked in laden with bags, there was a man in the window (of course it was Saturday and he was changing the window display) and three people at the till. With a smile I said hello, and that I had some bags for them. I was given a surly nod to the back of the shop. I struggled past clothes racks and other customers to the other side of the till with no help. In the back there were two people, one steaming clothes and one putting price tags on the freshly steamed clothes. They both looked up vacantly. I said “hi”and that I had some bags – they shrugged and signalled me to put them on the floor. I said “that’s it?” and they shrugged in answer and turned back to their steaming and tagging. I left the shop, saying “goodbye” on my way out, but no one acknowledged this. It was good stuff as well; unworn items from the era of believing it was possible once more to be a size 10. Now, I don’t expect a round of applause and gratitude but I do expect a thank you. So what will I do? 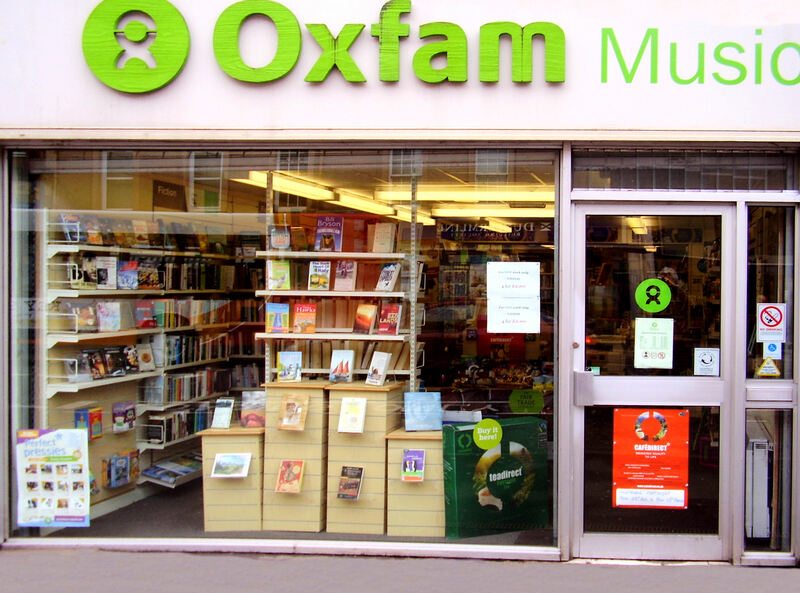 I’ll walk the extra 100 metres to the Oxfam shop who let customers buy from their window on any given day and say thank you and even offer to help with heavy bags. And I’ll tell as many people as I can. This entry was posted in customer service, fundraising, Life and Death, relationships, travel and tagged charity, charity shop, clothes, complaints, customer, customer service, dave, fundraising, holiday, Ken Burnett, oxfam, relationships, second hand, Stephen George, thanks, volunteers. Bookmark the permalink.